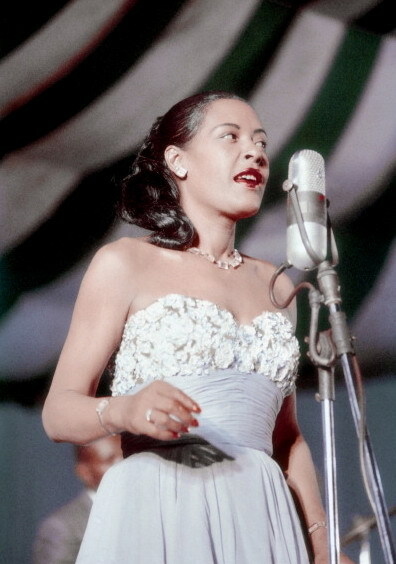 Color photographs of Billie Holiday from Newport Jazz Festival 1957, taken on July 6 by Bill Spilka. Rockish and funky, this is a good example of the virtusity and multifaceted technique of German trombonist Albert Mangelsdorff. During the 1960s, the English poet Philip Larkin, who also wrote jazz criticism of high caliber for Daily Telegraph, particpitaed in the game of picking the best records of the year. For someone who thought Charlie Parker was the beginning of the end for jazz, and everything worth saying (and playing) was already exhausted by Louis Armstrong, the 60s must have been a difficult time to go to a record shop and come out satisfied. His annual entry for Telegraph mainly features a longer list of reissues than brief mentioning of what's new. I've only mentioned the "new" albums. But even the "new" ones indicate how sluggishly jazz records were distributed in the UK. 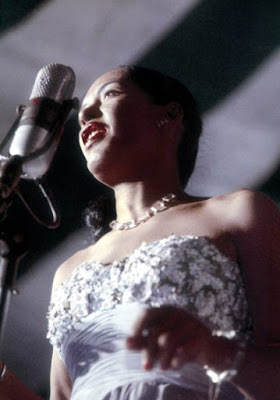 There is usually a year or two time gap between the initial US release and the arrival of the record in British market. 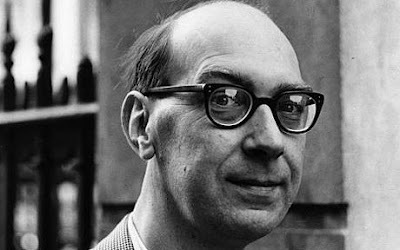 There are two remarkable anthologies edited from his jazz criticism both of which highly recommended: All What Jazz and Reference Back. (The full list of his favorite records of the year can be found as the penultimate chapter of the latter book.) These two books feature some of the most memorable, beautiful use of metaphor and poetic language in jazz after Whitney Balliett. 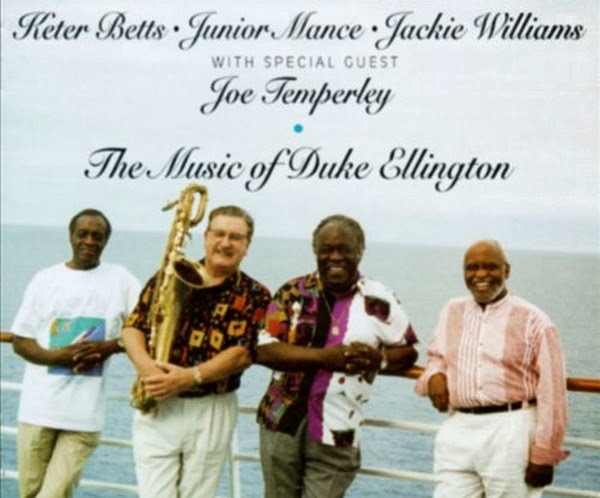 Repost of Junior Mance and Joe Temperley Play Duke Ellington, in momery of Joe Temperley who passed away on May 11th 2016. Some days ago, on October 10, Junior Mance entered his 85th, more than 7 decades of which lived as a jazz pianist of high caliber. Mance's notion and execution of blues, a happy and swinging one, has always been a source of endless fascination and joy for me. It is easy to be hooked to the sound of his trios, though in larger formats, like the video presented here, most of the relaxed playing and wonderful interaction remain intact. In April 1994 Mance formed a long-lasting trio with bassist Keter Betts and drummer Jackie Williams, the former being his collaborator since the 1950s, when they both played for Dinah Washington. This group enjoyed various gigs and hosted several guests at various occasions who were mostly tenor-saxophonists with whom the band toured and recorded materials by Duke Ellington and Thelonious Monk. One of these guests was the Scottish multi-instrumentalist Joe Temperley who was only one year younger than Mance and a resident of the US since 1965. Aside from a live recording on-board a cruise ship, issued by Chiaroscuro, this video, recently digitized by me, is a vivid example of the quartet in action, filmed during the Bern jazz festival in 1997.